If you work in an industrial sector like supply chain or manufacturing and you haven’t started connecting your physical business processes to digital, then you’re behind. If you have started to leverage digital solutions and have deployed a pilot or rollout, then you’ve likely underachieved your goals. IoT is bringing the physical and digital world closer together each day yet remains in a state of constant change. Both unmatched opportunity and genuine risk stand before businesses that hope to improve their bottom line and gain a competitive edge through digital transformation. 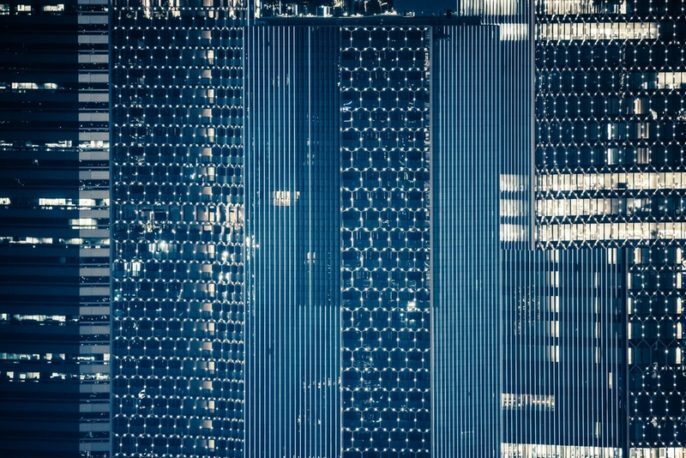 Its potential cannot be understated: new value creation, efficiency, and innovation are and will continue to be unlocked through digital and physical convergence. However, successful business models of the future, regardless of industry, will need to thoroughly understand the opportunity and risk associated with a more connected enterprise in order to survive. 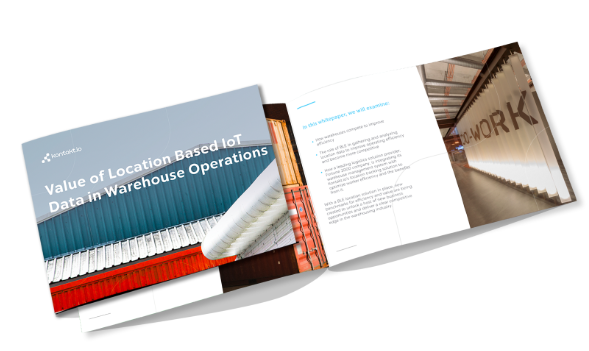 Let’s take an equal parts look at the opportunities and risks associated with connecting your organization’s physical assets and workflows to digital applications and embracing the IoT in a more rational way. Optimization of Manufacturing and Supply Chain, a topic near and dear to Kontakt.io, is one of the main business processes that companies use IoT to optimize first. Since industrial business models focus on improving productivity metrics to remain competitive, the more data they have on their workflows, the more efficient they become. That’s why manufacturers are increasingly connecting their machines and workers with sensors like these. Becoming proactive can come in a variety of forms. Like when we have the right amount of data and analytical capabilities to detect anomalies before they occur. For example, by connecting warehouse forklifts with sensors, we can know how much time they spend in each area, the routes they take, the speed they drive, and more. This location data is valuable when planning how to organize the floor layout, flagging danger zones, and reminding the driver of best practices. New business models can appear when a machine becomes connected. Whether a consumer product like a coffee machine or an enterprise asset like a specialized machine for making textiles – new business models will drive new value creation for companies and consumers. It’s still hard to imagine that we could all be riding in self-driving, electric cars for our trips by 2030. Just think of all the new business models that will manifest around that! Greater connectivity will give rise to new business models, as new business models evolve with greater connectivity. Creating a safer workplace for employees is another feature of a more connected workplace. We highlighted the role of personal alarming systems in hospitality in a previous post, but this application extends to the safety of tradesmen, students, industrial workers, and healthcare professionals. The ability to locate employees on site in the event of an emergency or allow them to instantly inform management of a threatening situation in a time of need is quickly becoming a gold standard among industries. Just as “great power comes great responsibility”, so too does great opportunity come with great risk. Undertaking an IoT project without calculating for and addressing widely known risks happens everyday and has resulted in a close to 75% failure rate of IoT projects over the last two years. These are setbacks that can not only cost companies millions of dollars in the short-term and bruise their confidence, but compromise their goals for building a long-term digital strategy. Breaches in security have been a trending topic as half of all firms with IoT devices are unable to detect them. Causes and solutions for such breaches vary, as thoroughly outlined here, which is why it is important to choose a partner that prioritizes robust security in their embedded devices and software. Poor or failed deployments see diminishing returns for companies hoping for big gains from IoT. Over ambition, lack of expertise, and a short-sighted or ambiguous framework can turn dreams into a sinkhole in a matter of months. Not only is this costly, but it can result in an organizational setback for years to come. Choosing the right partner can bring the much needed expertise, knowledge, and expertise that your organization needs to deploy IoT successfully. They should provide references of past deployments, assist in the development of your digital strategy (and take into consideration these points) and have close working relationships with notable technology providers throughout the industry. Much of the legwork involved in IoT comes from the range of technologies that must be integrated to share data across applications. A good partner should be able to bridge these gaps and more. A long-term vision is a prerequisite for developing a strategy for IoT and sticking with it. Short-term gains are appreciated, and can validate the effectiveness of a solution, but a long-term vision will position the company for greater, sustained success in the future. Secure devices made with best security practices from hardware to firmware substantially mitigate the risk of cyber threats and hackers. Compare providers, understand who adheres to strict security measures, and disregard the rest. With the opportunities and risks in mind, you can go forth to create new value for your business, community and planet. If you have any questions, feel free to contact our team about it.